We invite you to bring a colleague or friend to our December Professional Development Program at ‘no-charge’. You will discover first-hand how federal Learning Professionals facilitate continuous learning to improve organizational and individual performance. Please RSVP by December 4, 2018. 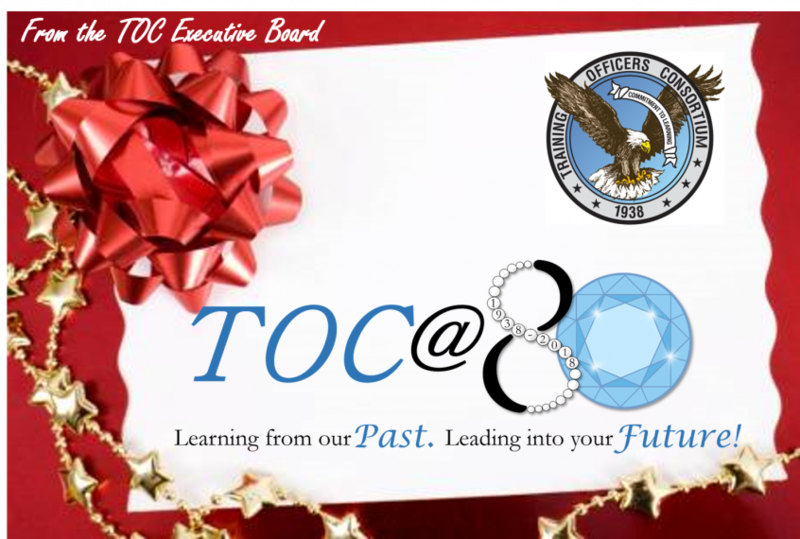 Note: To reserve a seat for someone who has never been to a TOC monthly program simply call the TOC Hotline at (202) 973-8683 or email info@trainingofficers.org. Space is limited; please RSVP at least one week prior to the program. The Training Officers Consortium, founded in 1938 in Washington, DC, is a nonprofit organization of federal trainers and other professionals from industry and academe who are interested in contributing to the knowledge and practice of human resources and training. We host a Professional Development Program for government trainers and human capital specialists, now in its 80th year of operation, which is aligned with OPM’s Executive Core Quantifications (ECQs) and foundational competencies. Learn more here. TOC’s holds a Professional Development Program is geared towards leaders and practitioners of Training and Human Capital in the government. The program includes nine monthly workshops, ten webinars, and a 3-day in-residence Annual Institute featuring topics covering career development, innovation, leadership development, learning measurement and analytics, learning technologies, and training design & development. Our speakers come from human resources development, education, technology, economics, business, political science, and personal development. Learn more here. TOC honors trainers and training programs that have made a significant contribution to training and development with our Annual Distinguished Service Awards. The TOC Scholarship program assists outstanding local DC high school students interested in earning a college degree leading to career in human resource development. Learn more here. For questions, email us at info@trainingofficers.org.